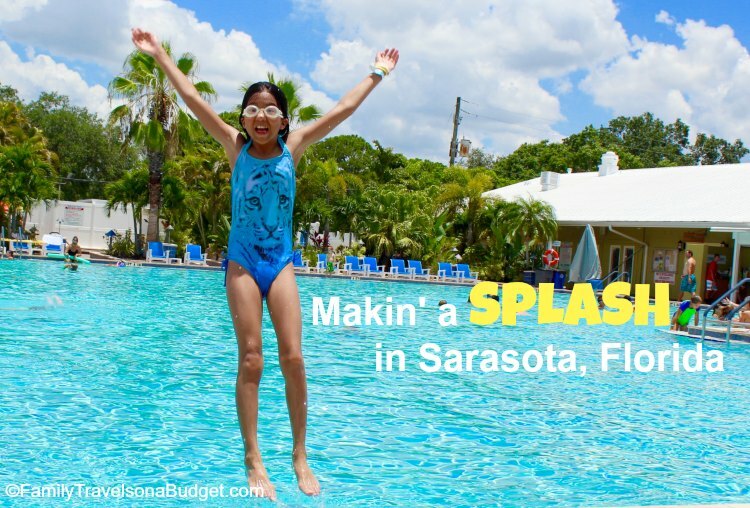 Ellie and I got to spend 3 nights at the Sun-N-Fun Carefree Resort in Sarasota, Florida, a great way to kick off summer if you ask me! Thank you, Sun-N-Fun, for hosting us! Visitors to Sun-N-Fun can bring their own trailer (or tent) or rent one of the resort’s available mobile homes. We stayed in a 2-bedroom unit with a huge screen porch. We had a full kitchen (no dishwasher), dining area, living room and 1.5 bathrooms to share. Ellie loved having her own room and half bath. I appreciated the space! The unit had an over-sized shower that was awesome. Families with small children might ask for a unit with a tub (or do this). Before visiting, I looked forward to a “trailer vacation” getaway reminiscent of my childhood — rustic camping, spiders, campfires and a small swimming hole of some sort. I did not expect what we got — at all! I was so impressed that I am giving this resort my first-ever 5-star rating for value and experience. I travel quite a bit — and I’ve never said this before. Accommodations: The rental mobile homes at Sun-N-Fun are the newest on property. They are well-maintained, with fully supplied kitchens and bathrooms. You need to bring your own food, bathroom bag and sunscreen, but other than that the units have everything you need! The 2-bedroom units have about 500 square feet of air conditioned space, with an additional 400 square feet of screened lanai. Amenities: The resort really shines here! Besides a gigantic outdoor pool (which Ellie LOVED!!! 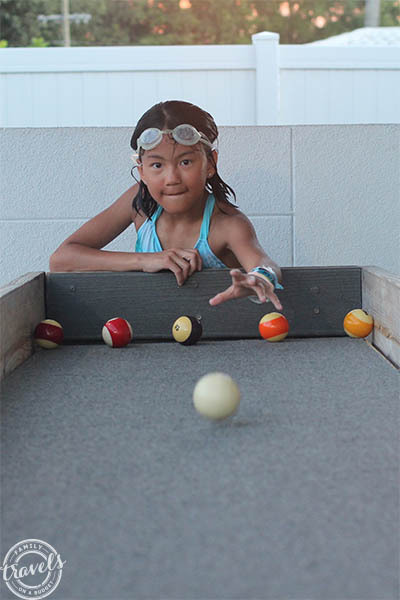 ), we also played shuffleboard, putt putt golf, carpetball and ping pong. Other included amenities include onsite fishing at the private, stocked pond (no license required), tennis, volleyball, playgrounds and hot tubs. For a small fee, guests can add on access to the giant waterslide, the indoor waterpark or the gym. The waterslide was lots of fun. We didn’t try the other activities. There’s also a bar and walk-up restaurant at the pool, which made planning our day at the resort super easy! She’s determined to beat me at carpet ball! Value: Our unit (which was provided for purposes of review) rents for $900-$1000 most summer weeks. That’s 2 bedrooms, 1.5 baths, full kitchen and living room for less than $1,000! Smaller units cost less. With all the included amenities, you’ll be hard-pressed to find a better vacation value. 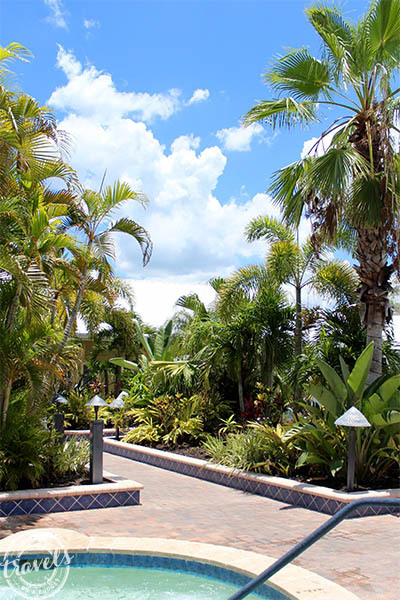 Location: This expansive resort sits on Fruitville Rd. in Sarasota. Interstate 75 is nearby, making it easy to get to. 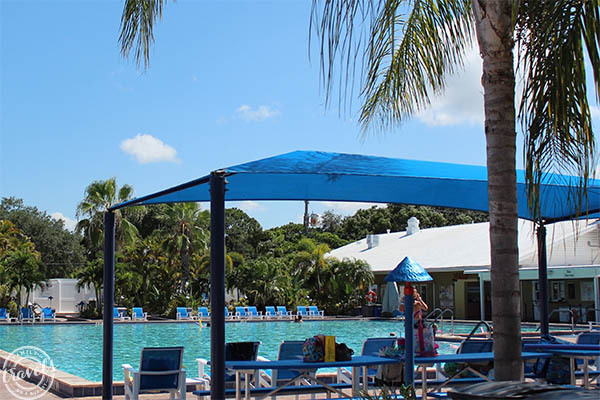 The resort is close to downtown Sarasota and all its attractions, only an hour from Tampa (catch a Rays game! ), and 20 minutes from the #1 beach in the United States! Staff: From the moment we arrived until checkout, we were amazed at the staff’s passion for serving guests of the resort. When we wanted ice cream, we stepped into the office to ask for directions to the best ice cream in Sarasota. I am not exaggerating when I say 5 staff members got into a big discussion about which ice cream is best before making their recommendation. Seriously! Since we checked out before the water slide opened our last day, Ellie couldn’t add another arm band to her collection. The staff didn’t care and gave her one anyway. Pixie dust must float south and west in this state! The water slide costs extra. Ask about specials when you’re there. When you package spacious accommodations, friendly service and a great price with an extensive list of included amenities, yes, a resort will earn a 5-star rating. Ellie’s smile the whole time spoke volumes. For me it came down to service. Every staff member we met was friendly. Even when we were playing putt putt, one of the staffers on break walked by and stopped to chat. He asked who was winning and gave Ellie some “tips” to help her beat me. Lifeguards quickly learned Ellie’s name and greeted her with a friendly smile whenever they saw her. This resort blew me away and exceeded my expectations in every way! For that, it gets a 5-star rating. 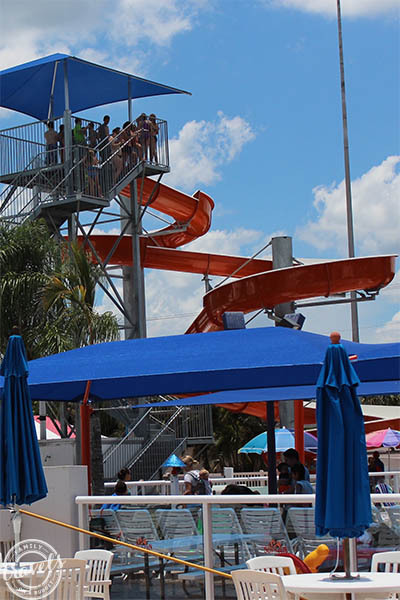 Thank you, Sun-N-Fun Sarasota for helping us kick off our summer in such a spectacular way. Ellie can’t wait to come back, the next time with her dad and brothers!